The most polarizing figure in all of documentary filmmaking is also the least assuming. What struck me most about Michael Moore – as he stood before a packed house in the largest cinema at AMC River East 21 – is how he really just doesn’t look like the kind of person who would inspire so much vitriol. Moore has always used his modest appearance and gee shucks Midwestern charm to bolster his filmmaking style, so his humility before the assembled crowd of fans wasn’t surprising. He seems to hate being front and center, and looked much more comfortable in the audience, one in a sea of faces. Yet fifty feet away, there he was, for all to see on a gigantic screen. 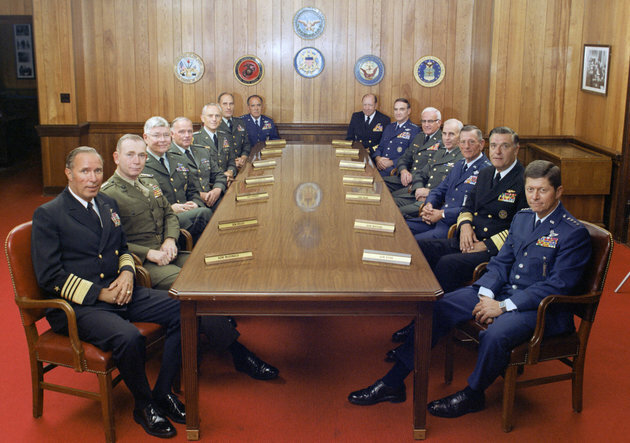 “Where to Invade Next,” Moore’s eighth theatrically released feature, finds him on assignment from the United States military to seek out the best place to – as the title states – invade next. Of course this is just a gimmick to talk about mostly European countries that provide for the welfare of their citizens a whole lot better than the U.S. Diehard fans of Moore and his style of tongue in cheek false befuddlement over the way another country does something better than us are going to find a lot here to love. It’s an interesting, if wholly redundant, conceit for a film, especially when this plays more like a greatest hits film than one with anything new to say. Nevertheless, Moore slyly weaves a through line of gender power norms that creeps up on the audience and is sure to please the many feminists watching. While Moore isn’t really trying to win new converts to his cause, his persistence, his humor, his use of popular music, and his ability to beat a point into the ground makes this film an entertaining watch, even if you think he’s completely out of his mind. The screening was followed by a Q&A moderated by Chaz Ebert, widow of the late critic Roger. As Moore recounted the tale of how her late husband helped launch his career, that elegant combination of sadness and joy wafted over the crowd and put everyone at ease. Perhaps Moore’s greatest ability as a social justice warrior is that he very firmly and very stubbornly planted his feet in the ground on certain issues he saw as key to humanity’s ability to survive. Whether or not that makes him a great filmmaker is certainly up for debate, but there is something comforting about the way Moore weaves comedy and outrage together. That’s what the great satirists have always done. There’s still one more chance to catch “Where to Invade Next” at CIFF because it just won the Founder’s Award and we’ll be shown this week with the rest of the ‘Best of the Fest’ winners.